Chinese President Xi Jinping Friday said the China-Pakistan Economic Corridor (CPEC) will not only bring concrete benefits to the people of the two countries but also make positive contribution to the regional peace and development. “China-Pakistan relations maintain a good momentum. The two countries have been cooperating in all fields under the Belt and Road Initiative. The China-Pakistan Economic Corridor not only brings concrete benefits to our people, but also makes positive contribution to regional peace and development,” the Chinese president said in a message sent to President Arif Alvi on the occasion of Pakistan Day. 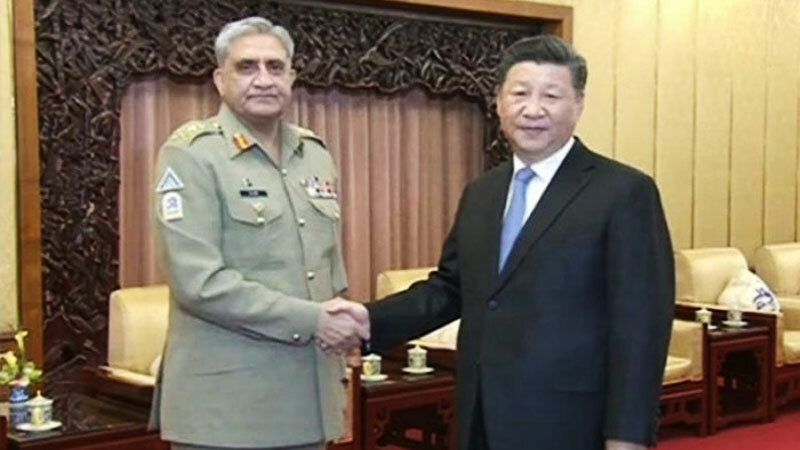 “I attach high importance to the development of China-Pakistan relations, and would like to join hands with you to upgrade the China-Pakistan all-weather strategic cooperative partnership to a higher level, and to build a closer China-Pakistan community of shared future in the new era,” he stated. “Currently, Pakistan is making efforts to maintain stability, expedite economic development and improve people’s livelihood. We are pleased that tangible outcomes have been achieved in this regard. I am sure that under the leadership of you and the Pakistani government, new progress will be made continuously in building your country,” he said. “On the occasion of the 80th Pakistan Day, on behalf of the government and people of China and also in my name, I would like to express my warm congratulations and best wishes to you and through you to the government and people of Pakistan,” he added. “May I wish Pakistan prosperity and her people happiness and wealth,” he concluded. In a separate message sent to Prime Minister Imran Khan, Chinese Premier Li Keqiang extended warm congratulations and best wishes to the people of Pakistan on the occasion of the Pakistan Day. “In recent years, China and Pakistan have worked together in promoting the all-weather strategic cooperative partnership towards a higher stage. The China-Pakistan Economic Corridor is steadily forging ahead, with fruitful results in various fields. Both sides have agreed to develop CPEC with higher quality in order to better benefit the two countries and the two peoples,” he said.